I am a triathlon and running coach for first timers and recreational athletes. Visit my website (www.coachray.nz) for great content that is FREE or contact me directly for how you can become a member of Team Qwik Kiwi as I train you to achieve your athletic goals. I am a competitive athlete in endurance sports, running, triathlon, duathlon and cycling. 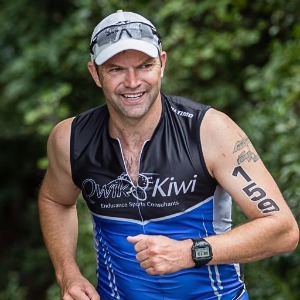 I represented New Zealand at the World Duathlon Championships in 1998 and have been a two time New Zealand champion at half marathon and long course duathlon. I enjoy the outdoors and have been involved with professional adventure racing teams in events such as the Southern Traverse. I'm currently serving in the NZ Army as a Physical Training Instructor at Burnham Army Camp, where I assist defence personnel to reach and maintain a desirable level of fitness in order to carry out any likely operational or training task. In short I train soldiers to be Fit to Fight. Success. Coach Ray Boardman has been notified of your message.